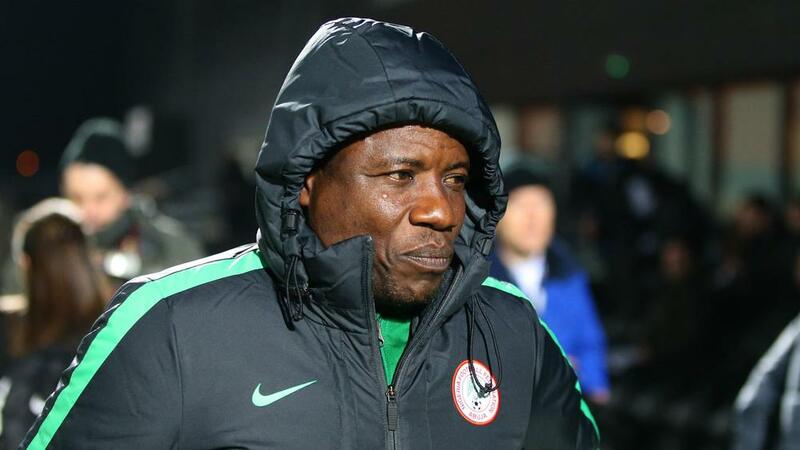 The Nigeria Football Federation (NFF) has confirmed it has launched a preliminary investigation into an allegation of bribery against coach Salisu Yusuf. Gernot Rohr's assistant is accused of accepting money in return for a request for two players to be selected for a continental championship. Yusuf, also the coach of Nigeria's Olympic squad, denies all wrongdoing but the NFF is examining the allegation. "It's true that the NFF has commenced a preliminary investigation into the matter to assist the Committee on Ethics and Fairplay," NFF director of communications Ademola Olajire told BBC Sport. "This is a very sensitive matter and a proper investigation is required by the football authority. For now, there will be no further comments on this subject." The players in question have not been named and Yusuf has denied they were picked for Nigeria because of the payment he accepted, which the coach says was merely a gift. "There is nothing in the allegation pointing to a demand for the money from the agents of the two principals," Yusuf said in a right of reply. "Rather, the agent only handed the money to me after expressing 'hope' that the principals would play in the Championship. "Be that as it may, I did accept cash handed to me by one of the said football agents, which I later discovered, upon checking, to be $750 and not $1,000."